The Track is Ski Run V2. British Cycling ranking points with rider with a BC race licence. You can collect your number board on Saturday afternoon to save time on Sunday morning. You must sign on and collect your number board before 10am on Sunday. Please Note Do not put your number board on your bike if taking on back of a car they will fly out and you will loose it. OS Grid Reference: SO 607 125 Post Code for Sat Nav is GL16 7EH but check the map as this may put you in the centre of Coleford or at the cottages down the road. Based in Gloucestershire close to the M4 River Severn Crossing at Chepstow. The nearest towns or villages are Coleford, Monmouth, Ross-On-Wye, Cinderford, and A48 Lydney. Easily accessible from M4/48, M5, M50, A40 and A49. Mainline trains via Newport or Gloucester. We are situated on the B4234 New Road. Please Check map before you leave sorry we cannot give directions on race day. Saturday – The forest is open as normal and you must follow the local rules & fees. The course will be marked out on Saturday and there will be registration during Saturday evening. Saturday is not part of the event so there are no marshals or medics on the track. You are responsible for your own safety and well being during Saturday. Race day with official Practice and race with Marshals & Medics on the race track. Registration 8.30am to 10.30am You must sign on and register before riding the track. Entry procedure, distribution of identification numbers: The race is pre-entry only, though if spaces remain, we will accept very limited entries on the day. Enter via the British Cycling website. You do not need a race licence to race. It is their responsibility to look after your number board. A lost number board will mean a £5.00 charge for a replacement as will a number board that has a modified shape and sponsors’ logos removed. No defacing of number boards. The number boards remain the property of Mini Downhill. Race Regulations: The event will run under BC Regulations and Penalties. Please make sure you aware of the rules. A course inspection will performed before the start of practice with the Chief BC Commissaire and any recommendations will be implemented. The course will be covered by marshals. They will have red and yellow flags, radio communications and be briefed each morning. Mini Downhill rules incorporate those laid out in the current BC and UCI handbook. We recommend that all riders and especially Juvenile and Youth age riders must wear the following body armour: Full Spine Elbow pads Knee pads. Results will be posted in the main arena on completion of each event and online by Monday 12:00 after the event. Medical: Paramedic Medical Cover will be provided, both on course and from an identifiable Base Station in the event arena. We run a zero tolerance policy on illegal drugs. If we suspect you are in possession of or using illegal drugs we will ask you to leave the venue and the Police may well be called. Camping: For this race there will be available near the race track. PA System: A full Public Announcement Facility will be on site with announcements throughout the day. A Notice Board will also be on display in the Race Office/Rider Registration area for displaying information regarding the event. 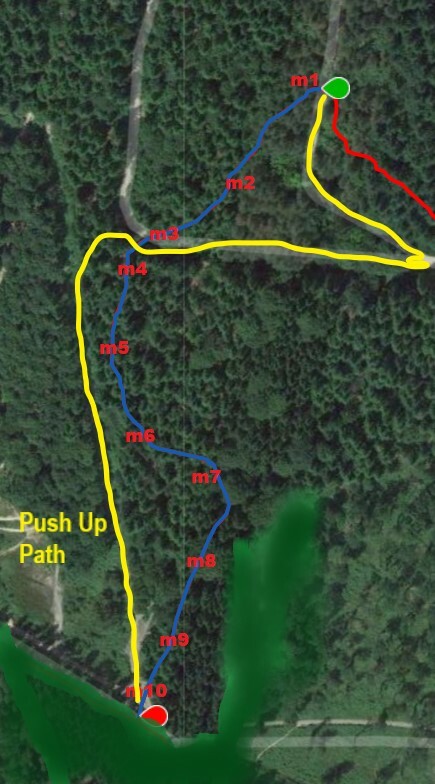 Uplift: This is a push up race but Flyup Downhill who operate the uplift service at Forest of Dean are doing a race day special of £2.50 per lift just line by the uplift point and save your legs get a lift to the top. Catering: There is an onsite café providing fresh hot and cold food and refreshments. Toilets & Showers: In the Peddleabike away café. Please respect these toilets and showers. 28 days or less, no refund. Transfer requests with 29 days notice are applicable for any remaining events in that year. Transfer requests 28 days or less notice are not applicable. Please note you can not swap your entry with another rider. The race weekend starts from 15:00 on the Friday before therefore the timescales above mean all e-mails must be received by our deadline which is 4 weeks before the 15:00 on the Friday before the race day. The above policies are not dependant on circumstances and are final. Please email chris.roberts@nakedracing.com please note we will not deal with any cancellations over the phone, by text or Facebook. Inform us of your full name, category racing and which race we are dealing with. Force Majeure: If the race organiser is prevented (directly or indirectly) from performing any of its obligations under the entry agreement by reasons of act of God, strikes, trade disputes, breakdowns, government or political action, interruption of transport, acts of war or terrorism, acts of omissions by a third party for any other reasons whatsoever outside of Naked racing control, then Naked racing will be under no liability whatsoever to you and may as its option, cancel the event. If the event is cancelled we are unable to refund or part refund any entry fee, we are also unable to transfer your entry to another event. Please follow the mini downhill on Facebook to ensure you are kept up to date. The Mini Downhill races fill up before the closing the date for entries, we advise you to enter now to avoid disappointment. Info for Riders:Sunday Registration 0830-1000 Racing starts at 11.00am Podiums for top 3 in each category. Please Enter now to avoid disappointment as the race will sell out early.